through the weekend of Oct. 15th and 16th and still may pose a threat. 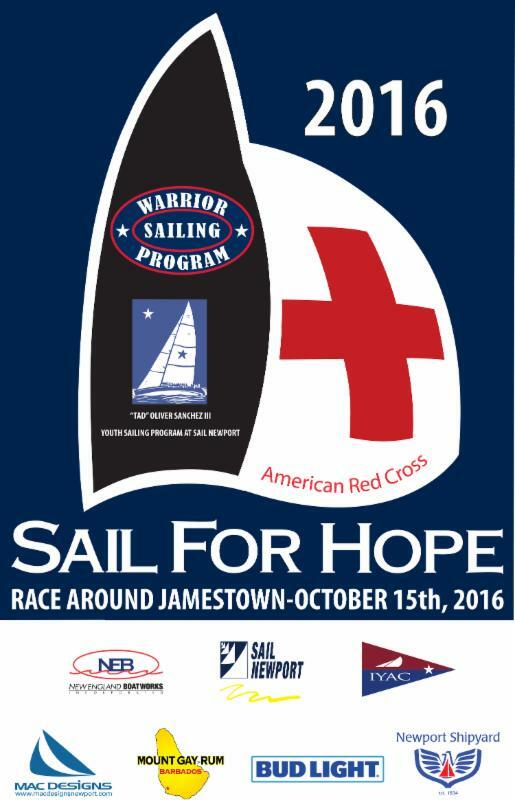 Join us October 15th as we support the Red Cross, the Warrior Sailing Program, and new this year, the Edward Oliver "Tad" Sanchez Memorial Fund to start a big boat youth sailing program at Sail Newport. 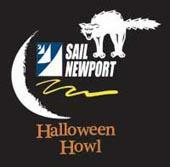 Thank you to the amazing Newport Shipyard who will host and sponsor a great party with food and after sailing reverie. Mt. Gay and Bud Light are back as sponsors for our enjoyment as well. Join us for awards, trophies and an auction to help support our charities. Please bring your friends and families to the party to help support these great causes, celebrate Tad's legacy, and wrap up the season. Guest wristbands will be available in advance or at the door for $30.00 each. 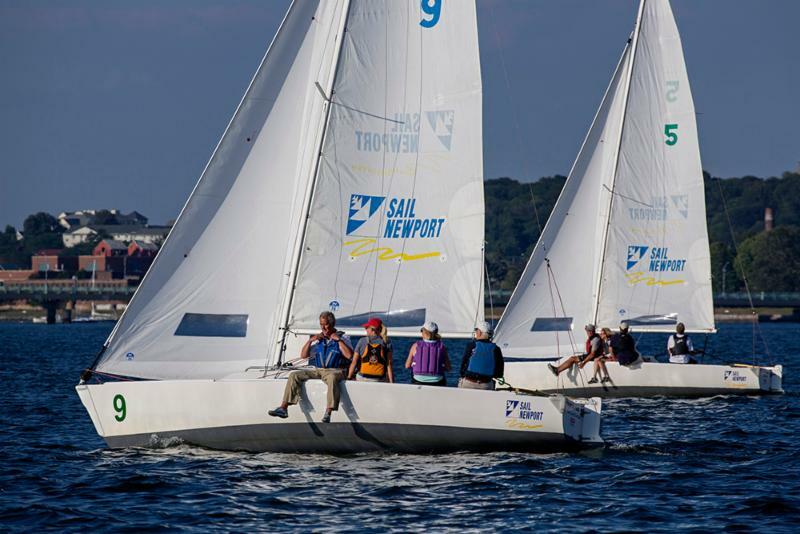 Sail Newport J/22s are available: call the Dock Office to reserve 401-849-8385, or email: kim.hapgood@sailnewport.org for charter, then please also register for the regatta as a second step. 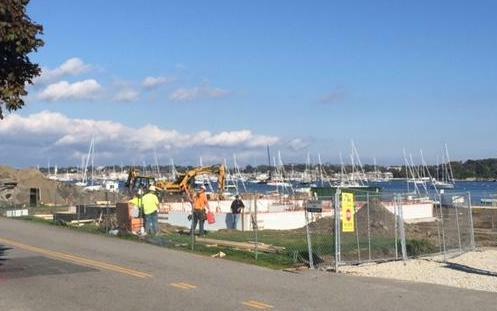 The new Mid-Park Marine Education and Recreation Center is underway. Behan Bros. Construction is busy setting the foundation and preparing the site. The Campaign for Blue Space is also underway to fund the building and to create an endowment for the expansion of education programs at Sail Newport for the public. There are many options to support Sail Newport for this exciting new building and our programs to offer more sailing, marine education and sailing center services for the public. Rentals and Lessons Available Until the end of October!!! There's plenty of great sailing days left. Rentals and lessons are available through October. Enjoy some of the best weather on Narragansett Bay - we're open 7 days a week weather permitting. Sail before the winter hits! The exciting 11-day foiling event will be hosted by Sail Newport with racing to be held along the western shoreline of Fort Adams. 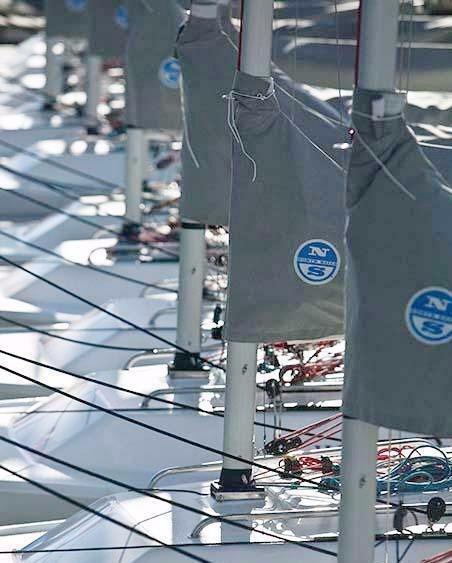 Clinic racing starts on October 12 to prepare sailors for the US Qualifiers October 14-16. 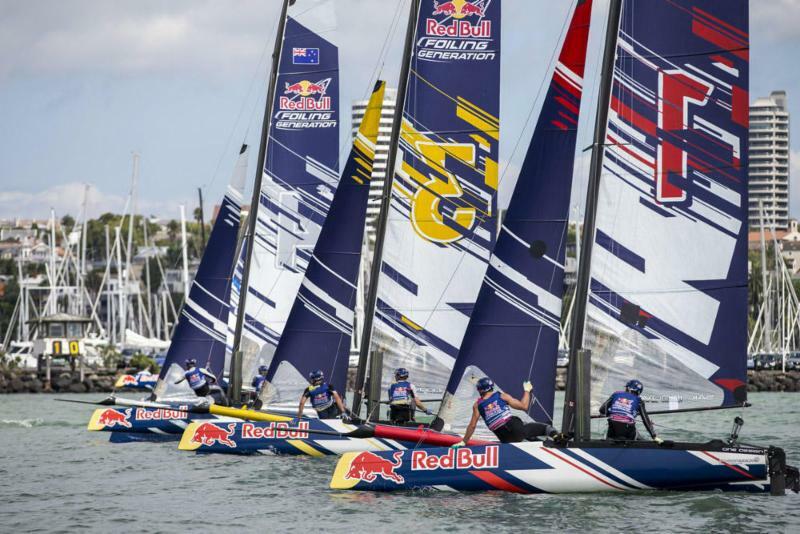 Sailors will compete to earn a berth at the Worlds which follows October 21-23. This is a "don't miss" and thrilling event to watch. Join us at Fort Adams for the racing. 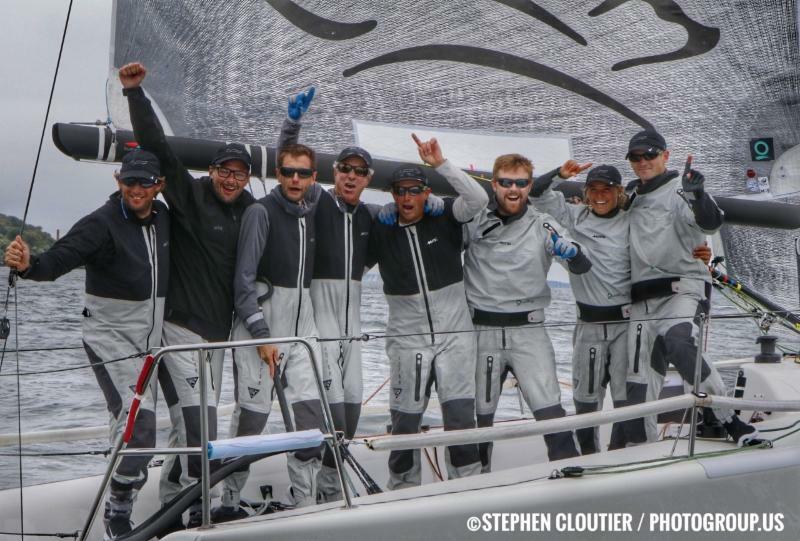 Volpe, tactician Mark Mendelblatt, and crew members Mike Hill, Peter Kinney, Scott Nixon, Erika Reineke, Sam Rogers and Drew Weirda for their 2016 Melges 32 World Champion win in Newport. 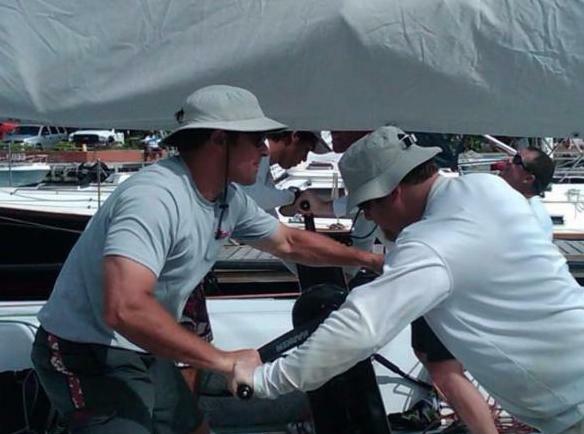 Tremendous work by the Sail Newport race committee led by PRO Anderson Reggio. delivered great racing in spite of a tricky week of weather. Thank you to an extraordinary group who make up our on-the-water management team. The last event of the season for youth sailors is always full of great spirit, unpredictable weather and great competition. This year's event includes racing for the Optimist class on Saturday and Sunday, October 29 & 30 and for the Club 420, 29er and Laser Radial classes on Sunday only. Registration is open! Get your boat tucked up for the winter and out of the driveway or yard. There is no more affordable place to store a sailboat or power boat for the winter. The seasonal storage contracts start on October 15 and run through May 1 based on a flat fee for the size of your boat. The bonus: you support Sail Newport at the same time! 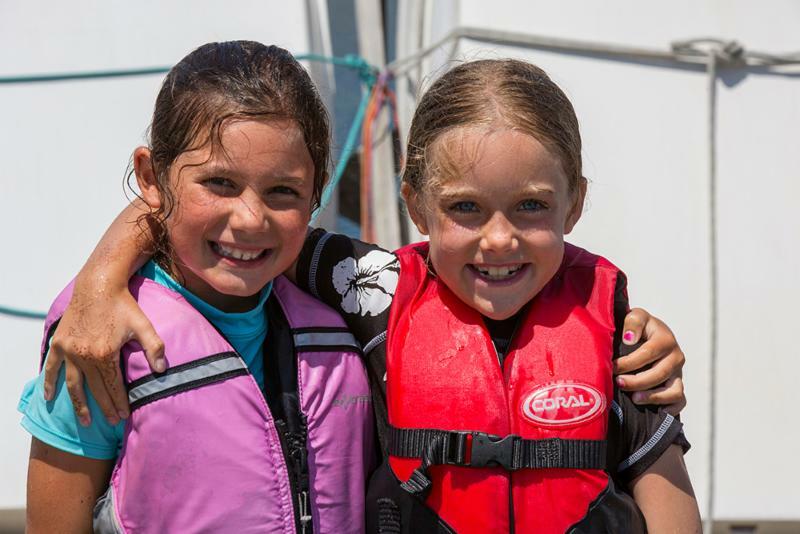 Help Sail Newport continue to offer great sailing opportunities for all ages.